Given by E. F. Broderip, Esq. 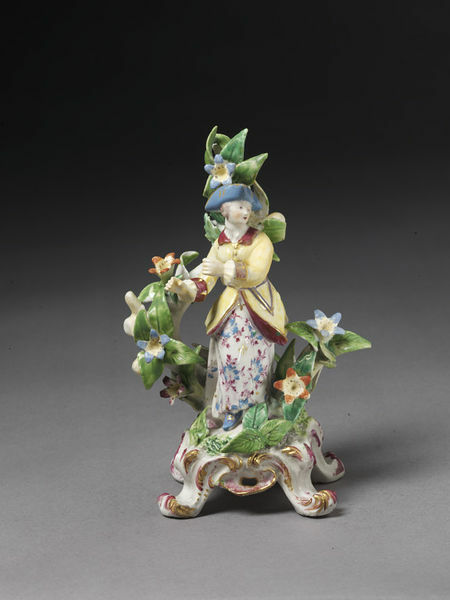 Figure in soft-paste porcelain painted with enamels and gilded of a woman standing in front of a flowering tree. Four-footed rococo base in crimson and gold. 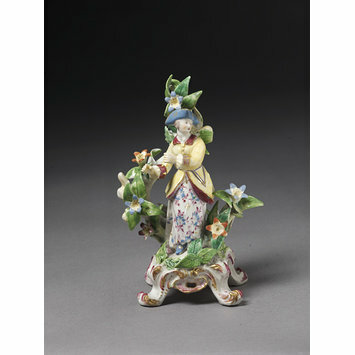 Figure in soft-paste porcelain painted with enamels and gilded of a woman, Bow Porcelain Factory, Bow, ca. 1760.